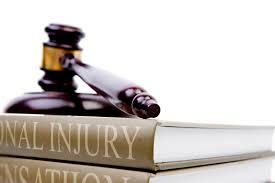 Mitigation refers to the requirement of plaintiffs to minimize damages they incur. Most jurisdictions require mitigation but sometimes a plaintiff may choose not to work after being terminated from a job or released from medical restrictions that prevented a return to work. In death cases and permanent disability cases, there is no mitigation and the economic loss is the entire future earnings stream from the date of death or permanent disability. In situations involving partial disability, the forensic accountant may use the opinion of a medical expert regarding the plaintiff’s ability to return to work and the opinion of a vocational rehabilitation expert regarding the type of work the plaintiff could perform. If there are jobs the plaintiff could reasonably perform, the situation changes. If the plaintiff can perform some work, the key questions are when the plaintiff could return to work and how much would that employment pay. Also, one might consider training and job search costs, if applicable. Projecting future alternative work requires similar analytical challenges as projecting base earnings. Adjustments are made for factors that could conceivably impact current and expected earnings, including age, education, health, occupation, industry, economic and labor market conditions, especially in the region.